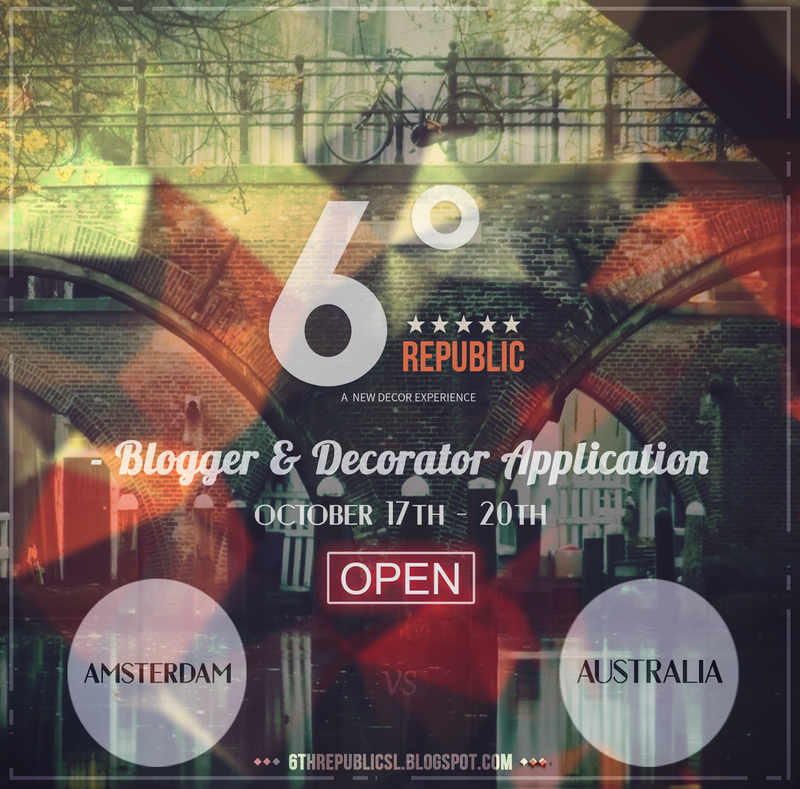 6º Republic Event: Blogger and Decorator Applications are officially open from October 17th - October 20th. We are looking for passionate and creative bloggers / decorators that feature interior / exterior designs in their photos. If you are interested in joining our Team and are committed to providing the best coverage possible for this event, then please fill this app. Make sure you understand which category suits you before applying. Only one app per person. You’ll be contacted upon acceptance. *Any questions please send a NC inworld only to Mikaela Carpaccio.